vRetreat is a technology event run by my good friend, Patrick Redknap. You may have seen my post about it from last year and I also spoke about it in our OpenTechCast show too. If you are in the IT industry, you must attend as it is all tech talk with vendors but with a bit of fun, which makes it an extremely pleasant experience. This time, it was Cohesity presenting who needs no introduction. They are one of the leaders in the secondary storage space and a very passionate bunch of people working on a great product. I met them at their headquarters in San Jose last year (as part of Cloud Field Day 4). It was full of live demos, great discussions and we had a blast. Naturally, I wrote this article afterwards that summed up the day but also the product as it was a year ago. 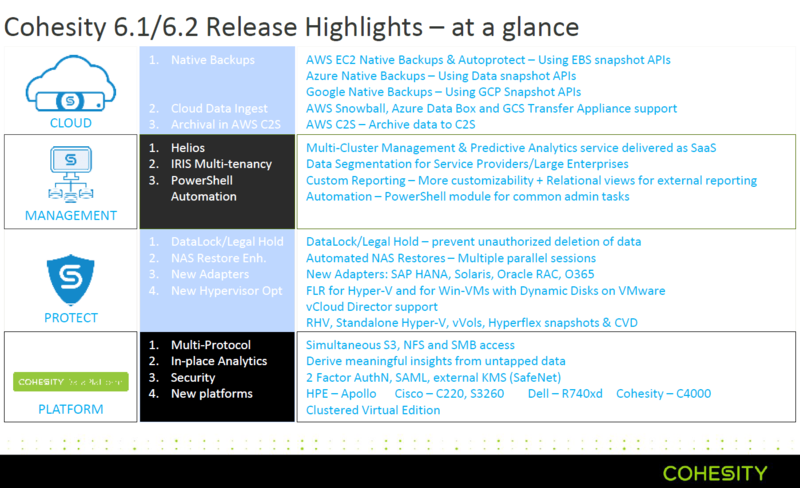 Fast forward to today, Cohesity were here to discuss what they had been doing since then and the slide below captures that beautifully. This is quite a substantial list for just about a year so I was glad to see all that work going into the product. It shows the level of commitment to the cause and the passion to improve the product rapidly in response to customer demand. There was a time when storage vendors integrated with the public cloud platforms simply to benefit from cheap object storage and archival capabilities. Now that more and more companies have their sights set on creating production environments on those platforms, just utilising storage is not enough anymore. Cohesity recognises this and is developing capabilities to protect workloads running in those platforms as well, by utilizing their respective API-based snapshot mechanisms. While the picture above shows integration with AWS, integration for other cloud platforms is also following the same trajectory. That is great to see as until recently, the cloud was seen as a second-class citizen in that respect. Support for Google is still a little behind as compared to AWS and Azure but I am sure, it will also achieve function parity soon. As more and more companies move to Office 365, there is that realisation that Office 365 lacks enterprise-grade capabilities and doesn’t meet data retention and compliance requirements needed by organisations. Cohesity makes it very simple to not only automatically backup mailboxes and store the backup on durable datastores but also provides the ability to restore mailboxes or even individual emails to the same or alternative location. Currently, protection is there for Exchange Online only but hopefully, more products will be brought onboard soon. Working for a well-known managed service provider, I know that many customers need all the wonderful capabilities that platforms like Cohesity provides but are not big enough to be able to afford a full-blown deployment of it. Cohesity is well-aware of that and is developing the platform to meet those needs. Naturally, that means multi-tenancy but with secure isolation and that is catered for on both the management and infrastructure level. All organisations hosted on the platform are completely isolated and have full control over their data (with their own encryption key) and its management. To make things even more secure, physical air-gapped isolation is also supported. In addition, API-driven automation is also built-in, providing customers with choice and self-service options. Chargeback is clearly an important factor here for service providers and consequently, Cohesity has provided a portal that shows consumption, important metrics and custom reporting on a per tenant basis. 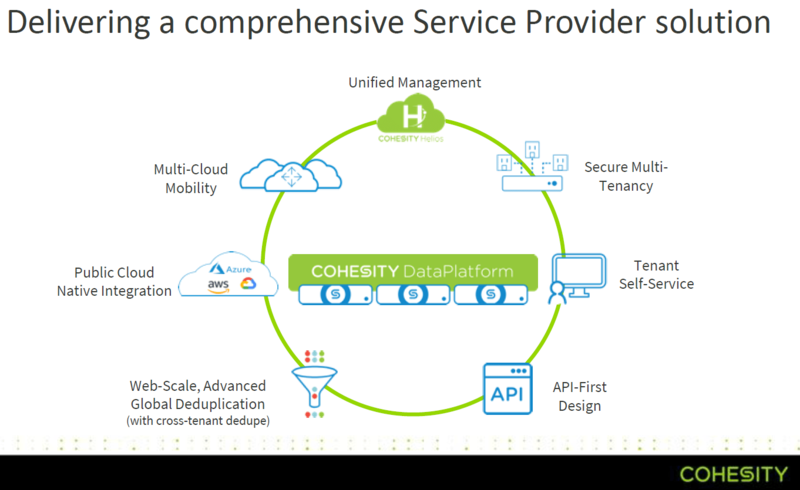 All in all, this fits nicely with what service providers want for their customers and I believe Cohesity is moving into the right direction with these options. More of that, please! I was also honoured by Mark Browne who included me in the inaugural Amoeba Connections podcast where we discussed how the day was, why you should never miss vRetreat if asked and my thoughts on the features presented. 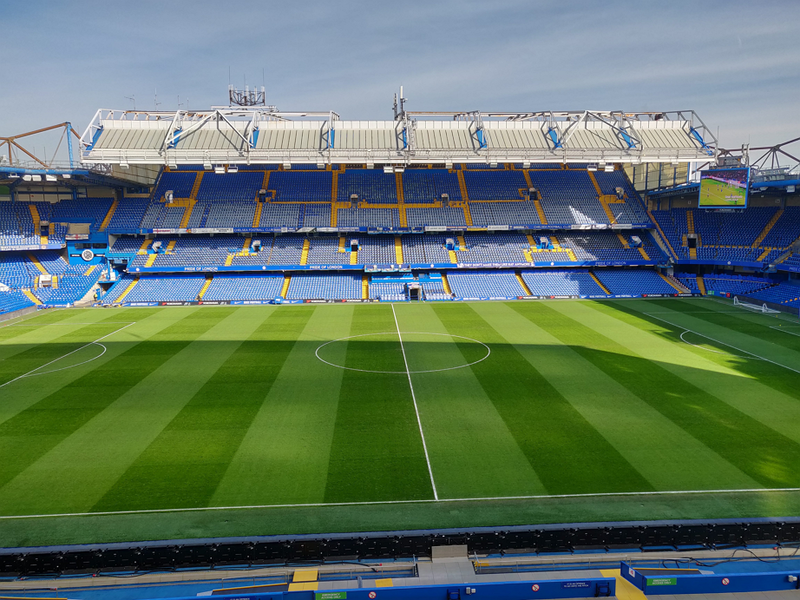 From there, we went on to a guided tour of Chelsea Football Stadium. We had some passion-filled commentary and fun facts. It was my first time visiting a stadium and great insight into what happens during a match day. We also went to the press room where there was this haunted desk that has a strange effect on people. I love attending events like vRetreat, Tech Field Day and such like because of their intimate nature. In such events, vendors get a very focussed audience and consequently, they talk candidly about their technology. They’re also much more open to discussing customer issues and how their solution can solve them than they typically would be in at a tech conference.